The Boxing Truth®: Should Thurman Be Next For Mayweather? A storyline that emerges in the sport of Boxing from time to time is one of a hungry young fighter working his way through the ranks and along the way being touted as the future of his division. One might argue that such a scenario may perfectly describe undefeated Welterweight contender Keith Thurman. Thurman’s rise up the division has seen him earn a reputation as one of the division’s feared power punchers registering a career knockout percentage of nearly 82%. Thurman compiled a record of 25-0, with 22 Knockouts and along the way earned interim/regular champion status in the WBA’s Welterweight ratings. Thurman has scored notable wins over the likes of Diego Chaves, Jesus Soto Karass, Julio Diaz, and Robert Guerrero. This led up to Thurman’s clash against former WBA Welterweight world champion Luis Collazo on July 11th at the USF Sun Dome in Tampa, Florida. Some observers, this one included felt that Collazo would be the toughest test for Thurman thus far, despite Thurman being heavily favored to win the fight. What impressed me about Thurman’s performance in this fight was his ability to dictate the pace, get his punches off first, and his effectiveness with his counter punching against a fighter in Collazo who is a slick boxer. Although Thurman is known for being a power puncher, he is also very tactical in his approach and in this fight was able to execute a well-balanced attack to the body and head often landing his punches in combination. Collazo however, was able to provide some resistance to Thurman and did manage to hurt Thurman late in the fifth round with a left hook to the body. Collazo was able to somewhat build on the success that he had in the fifth round in rounds six and seven by pressing forward and periodically landing to the body and head of Thurman. The fight however, would come to a conclusion at the end of round seven as Collazo stopped the fight saying that he could not see due to a cut over the right eye that was ruled to have been caused by an accidental clash of heads earlier in the fight. The win for Thurman, his twenty sixth consecutive victory maintains his position in the WBA’s Welterweight ratings in what was an overall impressive performance. Following the fight Thurman called out current WBC/WBA Welterweight world champion Floyd Mayweather for a potential fight. Whether or not Thurman, who still holds interim/regular champion status in the WBA Welterweight ratings and should be in position for a mandatory challenge of Mayweather’s title gets that opportunity remains to be seen. 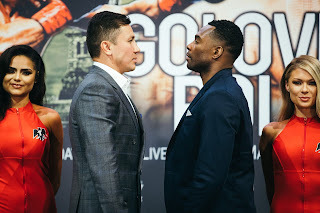 There have been ramblings this week however, that Mayweather’s next fight, which could be his final fight that is tentatively scheduled for September 12th may possibly be against former WBC Welterweight world champion Andre Berto. What makes this interesting is the rumor that has been circulating through several media outlets including Fox Sports and the Washington Post that this fight may not be televised on cable/satellite pay-per-view in the United States as has been the norm for many of Mayweather’s bouts over the last decade, but will instead be televised by CBS. Mayweather’s bout on September 12th will be the last of a lucrative six fight contract with CBS/Showtime that began with Mayweather’s bout against Robert Guerrero in May of 2013. Although Mayweather’s bout against Manny Pacquiao in May of this year broke all existing pay-per-view records generating more than 4.4 million pay-per-view buys in the United States and generating nearly $400 million in pay-per-view revenue, the fight also suffered some backlash in the days following it from spectators, both who attended the fight as well as those who paid $100 for the HD broadcast of the fight and $80 for the Standard Definition broadcast who felt they did not get their money’s worth. An argument that some could make is if Mayweather’s fight on September 12th is indeed broadcast in the United States by CBS that it could be an attempt by CBS/Showtime to avoid further backlash. One should consider however, that a problem that may be present for Mayweather as well as CBS/Showtime could be difficulty in finding an opponent that will convince consumers who felt they did not get their money’s worth from the Mayweather-Pacquiao fight to spend more money on another pay-per-view event that would likely be priced between $70 and $80 if not higher. Although Mayweather’s opponent for his September 12th fight has not been officially announced as of this writing, this observer believes that Keith Thurman deserves an opportunity to show what he can do against the fighter who was widely considered the best pound for pound fighter in the world. After all, Thurman is an undefeated fighter who has earned through his interim/regular champion status a title shot against Mayweather. Even though Mayweather was recently stripped of the WBO title that he won against Manny Pacquiao, and despite Mayweather’s statements following that fight that he intended to relinquish all the world titles he holds in both the Welterweight and Jr. Middleweight divisions, this observer believes a fight between Mayweather and Thurman would be one that Boxing fans and experts alike would support. A fight that presents a storyline of a division kingpin defending his crown against a fighter who many consider to be the future of the division. Regardless of whether Mayweather’s fight on September 12th is televised in the United States on pay-per-view as has been the norm or CBS, if it will ultimately prove to be the last time Mayweather enters the ring as a fighter, it would be a shame if Boxing fans were left feeling unsatisfied again as was widely the case following Mayweather’s victory over Manny Pacquiao. It would be an even bigger shame in this observer’s eyes if Thurman were not the fighter standing across the ring from Mayweather on that night. Simply put, he deserves the opportunity.